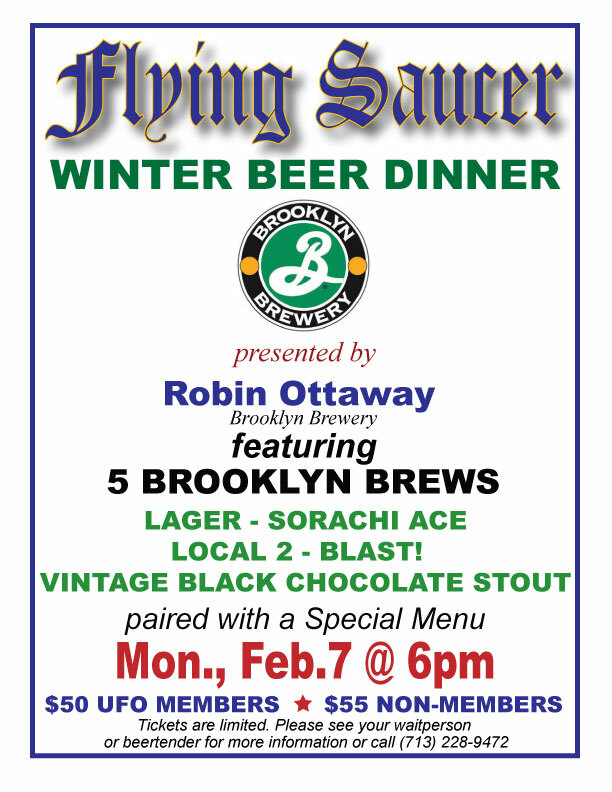 Only weeks after its D'Achouffe beer dinner on January 13th, the Flying Saucer has announced their next Winter Beer Dinner will be on Monday, February 7th and will feature beers from Brooklyn Brewing. Cost is $50 for UFO members or $55 for non-members. 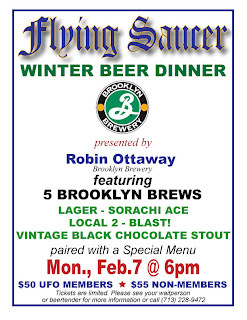 There's now a beer and cheese tasting and two beer dinners scheduled in February and a beer dinner for March. The beer culture in this town has really come a long way over the past few years.